The World Government Summit is held in Dubai, the UAE, from 10th to 12th February. At the Summit, there are representatives from 140 countries, territories and international organizations, who will be discussing innovations in science, technology, and global governance. «Imagine a jet-lagged and weary air passenger arriving in Dubai, getting off the plane, collecting luggage and then walking out to get a taxi. No passport checks, no visas issued, no security concerns. The ability of governments to communicate and share information, the ability of facial-recognition technology to accurately identify individuals, the ability of an array of biometric and other transponder-based technologies to work together — all makes a traveller’s arrival seamless, secure and already a reality at Dubai Airport. 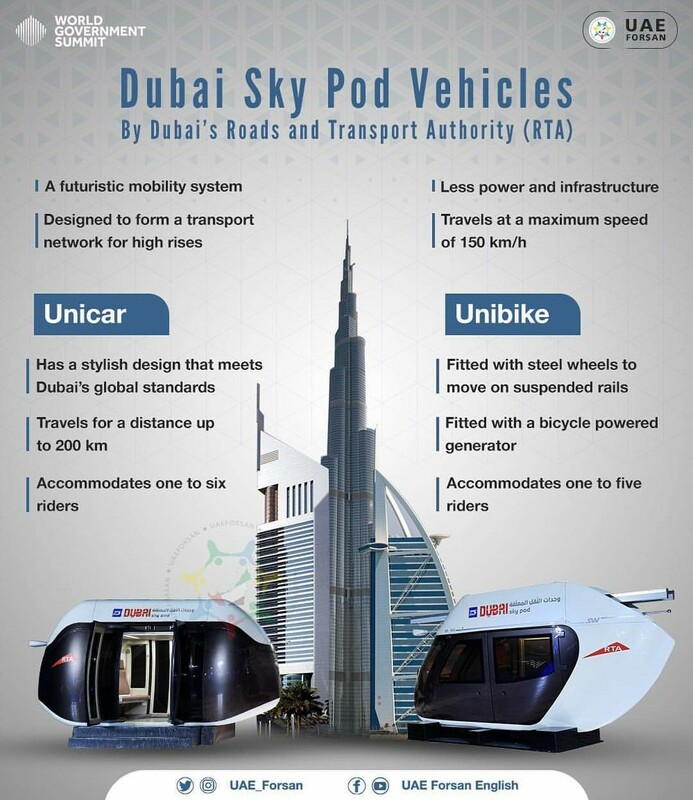 «Dubai welcomes the Sky Pods, the vehicles that will help shape the future of transportation in cities. The Sky Pods are designed to form a transport network for high-rises. They occupy minimal footprint (land area), have high energy efficiency, use innovative railways and operate using an automated control system». During the World Government Summit, UAE officialsformulated the principles for the country’s future development, such as the construction of smart cities, environmental conservation and the development of renewable energy. The UAE government also plans to facilitate the support of the local talents in the IT sphere, inventions and technical education in the country. The participants of the plenary session on the development of smart cities in the UAE, highlighted the importance of infrastructure projects. The UAE traditionally supports innovative transport developments that can provide the country with the world-class infrastructure. 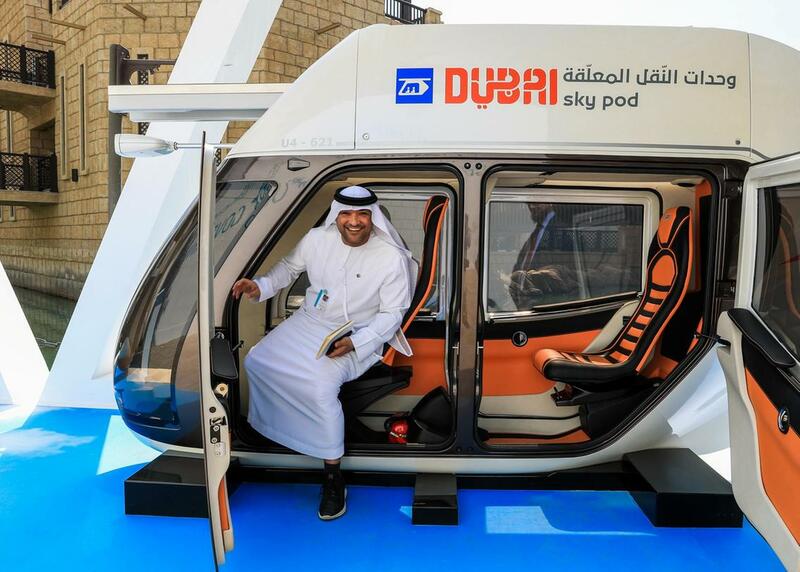 We remind you that this year, the Dubai Ministry of Transport (RTA), which supported the SkyWay project, will get 19% of the city budget at its disposal. Innovations is the key word for the UAE, judging by the speeches at the Summit. The country even plans to introduce the position of «Director on Innovations» for each ministry during the year. The government has already signed a contract with the University of Cambridge on training sixty innovative managers there.